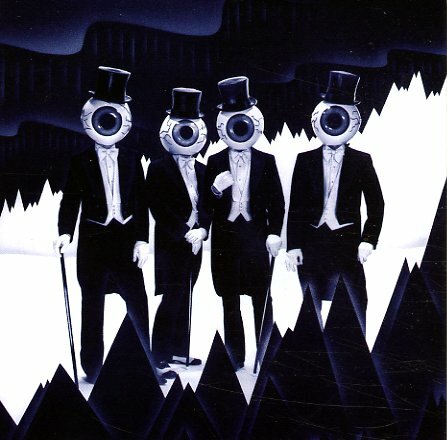 Seminal sounds from The Residents – a record that's purportedly inspired by the ceremonial music of the Eskimo – but it's very a much a Residents album, and one that follows there own absurdist adventuresome impulses! There's often this cold, drifting wave of sound in the background that's as chilly as you'd expect – and on top of the sound effects and all around trippy electronic atmosphere, they're supposedly playing instruments made of the guts and bones of arctic wildlife! Titles include "The Walrus Hunt", "Birth", "Arctic Hysteria", "The Angry Angakok", "A Spirit Steals A Child" and "The Festival Of Death". 2CD edition features a bonus CD of "Eskimo Ephemera" – with 22 bonus tracks that include "Kenya", "Scottish Rhapsody", "Diskomo", "Disaster", "Plants", "Twinkle", "Heart In SF", "Dumbo The Clown Who Loved Christmas", "Time's Up", "The Sleeper", and even an "Eskimo Opera Proposal". © 1996-2019, Dusty Groove, Inc.